Would you like to Balance your ‘Yin and Yang’ ? Reflexology has been around for thousands of years, it’s a manual therapy focusing on the feet and has recently enjoyed a surge in popularity as a modern holistic therapy to relieve pain and stress. Reflexologists believe that different areas on your feet and hands correspond to other parts of your body and that massaging them can have positive effects on your body as a whole. On your initial consultation, your reflexologist may ask you about your medical history, health issues, lifestyle and diet. If you are particularly ticklish your hands may be used instead! Reflexology is based on the Chinese principle that certain areas on the soles of your feet or hands contain millions of nerve endings which correspond to other areas of your body. It is believed that reflexology stimulates the body into healing itself by improving circulation, reducing stress, pain and restoring natural balance. If you are lacking energy or feeling sluggish reflexology can restore balance and help your body to heal itself. It can boost sluggish circulation and is useful for treating stress, anxiety, back pain, migraine, poor digestion, irritable bowel syndrome (IBS), respiratory problems, asthma, headache, bladder problems, menopausal symptoms and period pain. It’s a great way to zone out and enjoy a relaxing massage. Patients are left feeling relaxed and refreshed. 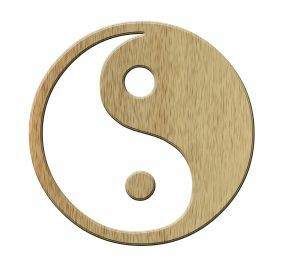 So if you’d like to get your Yin and Your Yang back together in perfect Harmony Give us a call or pop in to book an appointment with Estelle and find out for yourself what Reflexology can do for you! Let it snow, let it rain, let it freeze. Yep, January’s being as unkind to us as ever, with temperatures at -1c looking almost warm compared to some of the barrages we’ve been getting. We’ve already fallen over once on the ice, and we want to make sure you don’t do the same thing – it’s not big, it’s not clever, and it leaves bruises! Tim Hutchful, from the British Chiropractic Association, is here with our Top Of The Tips chart rundown for what to do when the pavements are more slippery than a greased eel. – Try to avoid alcohol. Not only will you be more prone to feeling the adverse effects of the cold (because alcohol causes loss of body heat) but it may also cause you to take risks that you wouldn’t normally do and, of course, make you more unsteady on your feet. Keep topped up with warm drinks to keep your temperature up. – If you do fall, try and curl up and ‘roll’ with the fall and stay relaxed, this will minimise any jarring to your body. Whilst it may be an automatic reaction, try to avoid putting your hands out to save you – this may cause wrist injuries. – There are things you can do to prepare yourself for better balance. Standing on one leg, as an exercise, is a great way to help improve your balance. – When you are out and about, keeping your hands out of your pockets (use gloves) so that you can use your arms for better balance is a great idea too. 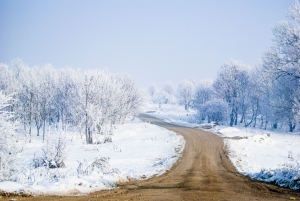 – Watch out for parts of the pavement that may have been in shadow or under trees, where there is more likely be black ice, but make sure you pay attention to what is ahead too! – Clothing should be warm and allow you to move freely. Anything that impedes you from walking ‘normally’ could make you more prone to falling over or lead to you walking in an unnatural way. – Make sure you wear shoes with chunky treads, solid soles and avoid shoes with no ankle supports. It’s yes to sturdy work boots and a no-no to ballet flats. Wellies are tricky to take off and can jar your back. Lace up sturdy shoes, warm socks and common sense are the order of the day. Ladies, I know you might be going for a night out, but you won’t look pretty if you show up with a twisted ankle because of your heels! Follow these tips, and by March you should be ready to spring into better weather! New for 2013: Alexander Technique Family Workshops. Are you interested in helping your family with their posture as the new year dawns? Between heavy schoolbags, perennial teenage slouching and our own reliance on smartphones and laptops, people of all ages can do with some pointers on how to correct their posture – saving us from lives filled with bad posture and neck and back pain. 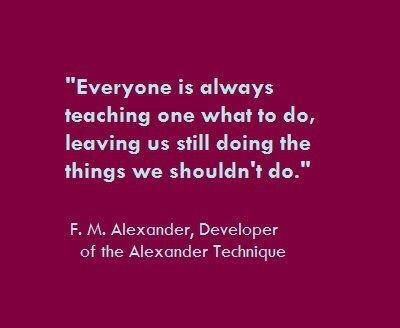 Luckily, we have a solution: Peter Brierley, our Alexander Technique instructor, is now offering Family Workshops in his dedicated treatment space in Ware. For a family of four, we offer a Saturday morning filled with advice, techniques and hands-on treatment to strengthen your posture. Since our last post, the final tally has come in, and we raised £463 for Jake’s Journey! We are overwhelmed with the generosity of the community, and want to say a big thank you once again to all of you who booked in for treatments, tweeted about our fundraiser or just donated because! 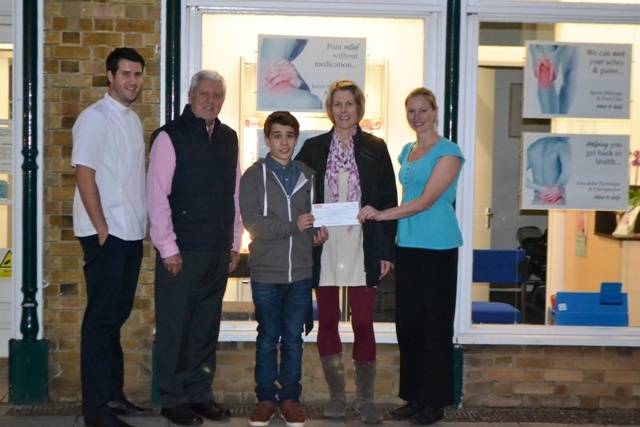 Here’s a photo of Jake being presented the cheque by Louise and all our therapists who donated their time to the cause. Photo-post! A look around during our fundraiser. We’ve just completed a fundraising day at Attend2Health to celebrate our fifth birthday, where we were raising money for Jake’s Journey, a trust fund for a local teenager with a brain tumour. We offered half-price treatments with our head chiropractor, osteopath and physiotherapist, and thanks to the generosity of the local community managed to raise over £450 for this great cause. We’d like to thank each and every one of you who came down for a treatment, a cupcake, or just to say “hi!” for helping to make the day such a great success – we couldn’t do this kind of thing without your support and we love being able to give back to the community whenever we can. It seems like we’ve seen the last of this summer (though, admittedly, it felt like that in about April), and Starbucks has got the pumpkin spiced lattes on the menu, so it’s time to pack away the bikini and bring out the scarves: autumn’s here. Actually, as a clinic, we quite like autumn, because October marks the 5th birthday of Attend2Health. That’s right, we’ve been helping you from head to toe for half a decade now! From our early beginnings with Louise Hampton as our head chiropractor, we now have 2 chiropractors, an osteopath, a physiotherapist, a foot health practitioner, a sports massage therapist, an Alexander Technique instructor, a reflexologist, a reiki therapist, and an acupuncturist. We’ve grown up so fast, haven’t we? Anyway, what’s a birthday without a party? We’ll be hosting a half-price treatment day on Saturday October 27th, with chiropractic, physiotherapy, osteopathy treatments on offer, and all money going to Jake’s Journey. Sam Bloomfield, Louise Hampton and Mike Varney, who will be treating for Jake’s Journey on October 27th. Jake Pike is a young friend of the clinic who has been fighting a brain tumour for nearly 2 years. At just thirteen and having only just started at Freman College, he has undergone surgery and radical proton therapy in America, and is currently an outpatient at Addenbrookes Hospital in Cambridge. Jake’s Journey is a trust-fund to cover the cost of future treatments, support and travel for Jake as he encounters the side effects of the treatment. In the hopeful event that Jake doesn’t need to use the money – as he is currently in remission – it will be divided between the numerous charities who have supported Jake’s family – CLIC Sargeant, Camille’s Appeal, the Brain Tumour Trust, Sick Children’s Trust and the paediatric cancer ward at Addenbookes Hospital. We are already taking bookings for treatments on Saturday 27th October, and a few places have already gone, so if you’re looking to come down, help us celebrate our birthday and help out a great cause, please call us on 01763 87 80 87. 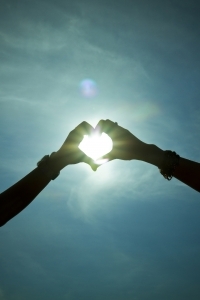 The hours of daylight may well be getting shorter as the year marches on, but the hours of treatment aren’t! 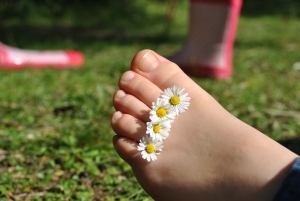 Joanne Taylor, our Foot Health Professional has extended her hours on a Wednesday, and would love to see you, your calluses, dodgy toenails or whatever else may make you want to hide your feet in your slippers at all times. As we get closer to (whisper it) Christmas, make sure your feet are stocking ready. On the subject of Christmas, don’t forget that we sell gift vouchers that can be used for the majority of our treatments – we all know at least one person who could do with a massage, why not be kind enough to gift them one with a trained professional? On October 8th, National Back Care Awareness Week starts. As a recepient of this newsletter – and therefore a valued patient – we know that your back health matters to you, but do you know anyone who has frequent back pain, but refuses to do anything about it? For the week of October 8th-15th, we will be offering £10 off* chiropractic first treatments to anyone who says “Back Care Week” when they book in, and if they mention that they’ve been reccommended by a previous patient, then that patient will get £5 off their next treatment too! What can we say, we like to be good to you guys. With so much going on over the next few weeks, we should hopefully be too busy to notice as it gets colder and darker. So, wrap up warm, don’t forget your scarves, and come down and see us all at Attend2Health. Doctors Make The Worst Patients (and other things our granny used to tell us). The saying goes that doctors make the worst patients. Unfortunately, chiropractors and other health professionals are just as fallible as everyone else, and while we’re fully aware of what we should and shouldn’t do, we all slip into bad habits occasionally. Here are some of the habits we’re guilty of, and how to correct them. Our receptionist holds the phone between her shoulder and ear constantly, leading to back pain, neck pain and shoulder pain – hardly ideal when we’re advertising spinal health! If you can’t use your hand to support the handset at all times, see about investing in a headset or a hands-free kit. One of the few times many of us get to relax is spending an hour on the sofa in front of the television, and the temptation to slump on the sofa is a strong one, but not one that leads to a strong back! (See what we did there?) With the risk of sounding like your grandmother, the ideal sitting position is to let the seat take your weight and, if possible, keep as much of your body in contact with the chair so that your whole body is supported. The last one is awful, and something which we should all know better than doing, but it always bears repeating: make sure you book in with your practitioner as soon as you feel something is wrong. There is always a temptation to ignore any back pain, or that slight stiffness in your neck, but what could have been a simple adjustment often escalates into a longer course of treatment. A stitch in time saves nine, as granny always used to say. Now for some content that isn’t full of Nana’s wisdom. Attend2Health now has an osteopath. We’re bold-italics excited to announce that as of September 1st, Sam Bloomfield will be joining the clinic on Tuesday and Thursday afternoons. Chiropractic and osteopathy are both similar practices and both help with many conditions, and we’re delighted to add Sam’s osteopathic expertise to our stable of professionals . We now have eight therapists working within Attend2Health, offering treatments from acupuncture for fertility through to diabetic foot care, so whatever you may be struggling with, call us on 01763 87 80 87, or drop Kat or Nikki an email at buntingford@attend2health.co.uk (they get lonely) and see if we offer a treatment that’s right for you. But before we get to all that, the Buntingford Carnival was last month, celebrating Sport in Britain in 2012 (original, no?). We were there offering the chance to test your grip strength for the chance to win a bottle of champagne. Our winning female grip was 75kg. To put this into perspective, this blogger managed 27kg. So congratulations to our winners, who more than deserve their champagne, and probably have handshakes to avoid first thing on a Monday morning. So, the less said about the football, the better. Wimbledon continues apace (come on, Tim! ), and we’re all very excited about the Olympics this month! If you’re watching sport, playing sport, or exhausted even thinking about it, then we’ve got a range of treatments available for you! Our sports masseuse Estelle is fully trained in sports massage and theraputic massage, great for rugby players or tired office workers alike. We also offer reflexology and reiki with Estelle, for people who’s idea of me time is a little less a game of golf and a little more serenity. If you’ve managed to trap a nerve while pretending to be Andy Murray, then our chiropractors Louise and Adrian are on hand six days a week to help bring you back to peak condition as quickly as possible. We don’t promise to make you a World Number 4 Singles Player, mind you. And, coming to Attend2Health from Thursday 5th July is our new Physiotherapist, Mike Varney. Mike Varney has worked as a physiotherapist for over 40 years, and continues to offer a wealth of expertises and experience treating musculoskeletal problems. He has previously worked in a professional capacity with Tottenham Hotspur and Queens Park Rangers, as well as working as a remedial gymnast and treating many celebrities and actors in our time. 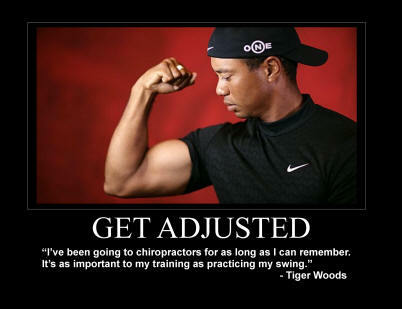 If you’re looking for A-List treatment of your injuries, why not call us and book in with Mike on 01763 87 80 87. We’re backing the future generation – literally. 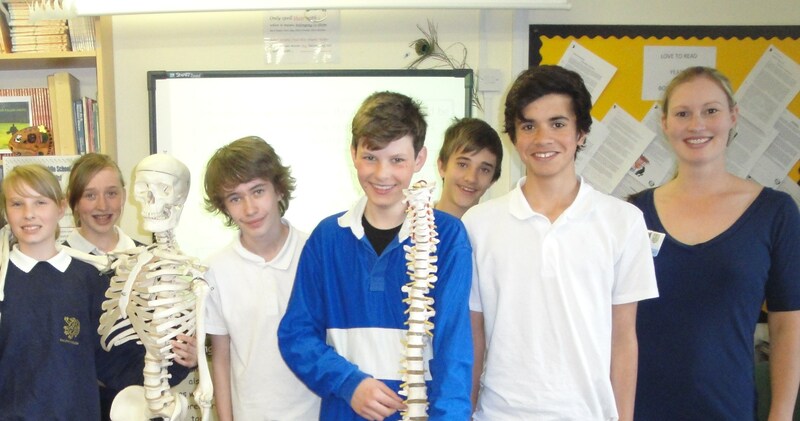 On Monday 23rd April, our Head Chiropractor, Louise Hampton spent the day at Ralph Sadlier School teaching the children the importance of good posture and doing exercise. “I went through some stretches with the children which would be good for them to do on a daily basis and taught them about the spine and the importance of keeping healthy,” Louise said. If you worry about your child’s back, follow these simple tips from the British Chiropractic Association.